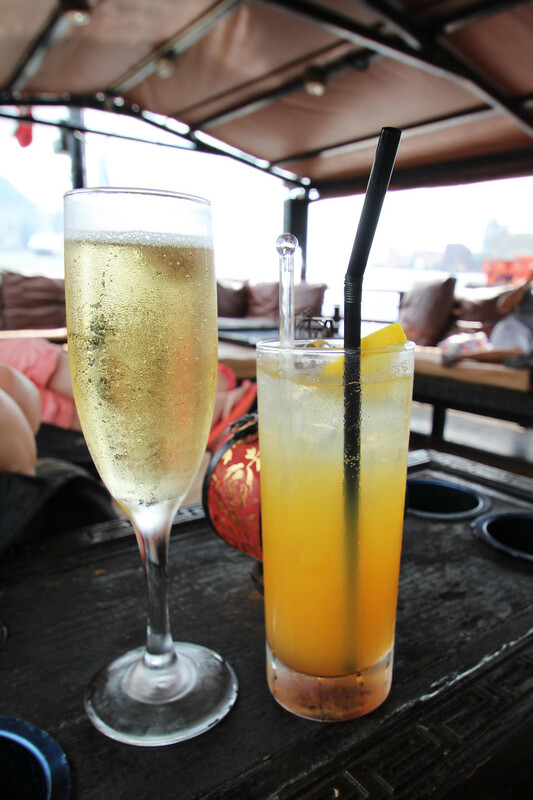 Our last day in Hong Kong was a bitter-sweet one, we had done so much in our time there, seen so much, and even managed a hop over flight to Tokyo for a couple of days. But one of the things I had been longing to do the most was take a ride on of the Kong Kong junk boats. 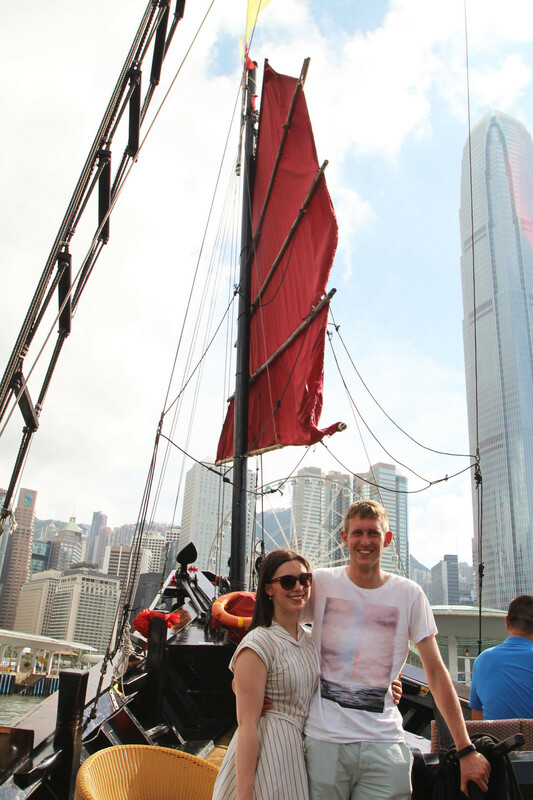 The junk boats in Hong Kong are something you will see in every guidebook, in every photograph that comes up when you type 'Hong Kong' into Google, and they're definitely unmissable along the harbours and central pier with their red sails. 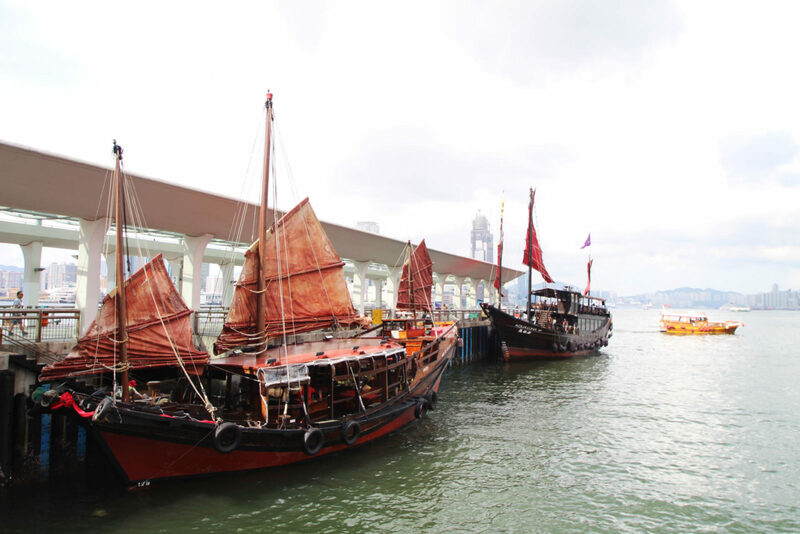 These junk boats have come to represent the old traditional values that are still ever present in such a cosmopolitan city. A junk boat was once a traditional boat used for fishing and transporting goods. 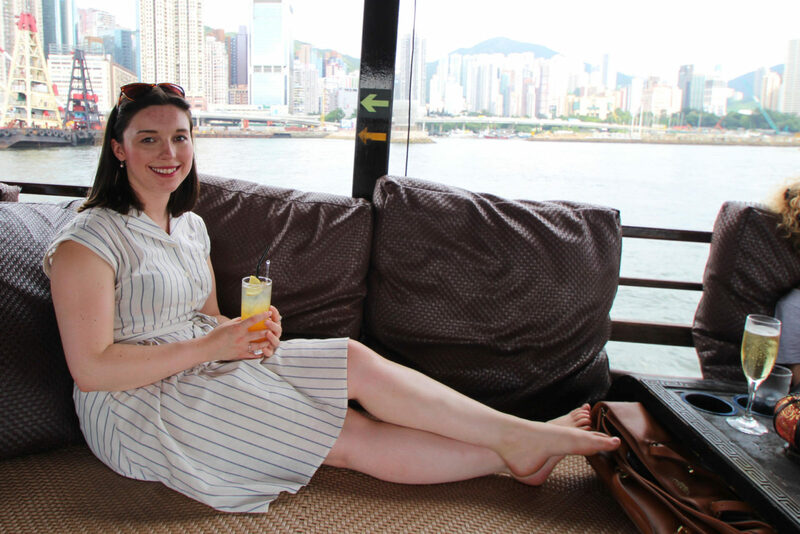 With several of the last ones still remaining, we hopped on board the Aqualuna for an afternoon of relaxing and elegance, if not only for an hour, it was just what we needed to rest our aching feet, and a lovely treat to end our travels. We boarded at Central's pier 9 amongst the shopping district and financial area, to cruise along the water taking in the last of the skyscrapers sights and enjoy a much needed breeze to cool us down before boarding our flight home later that evening. 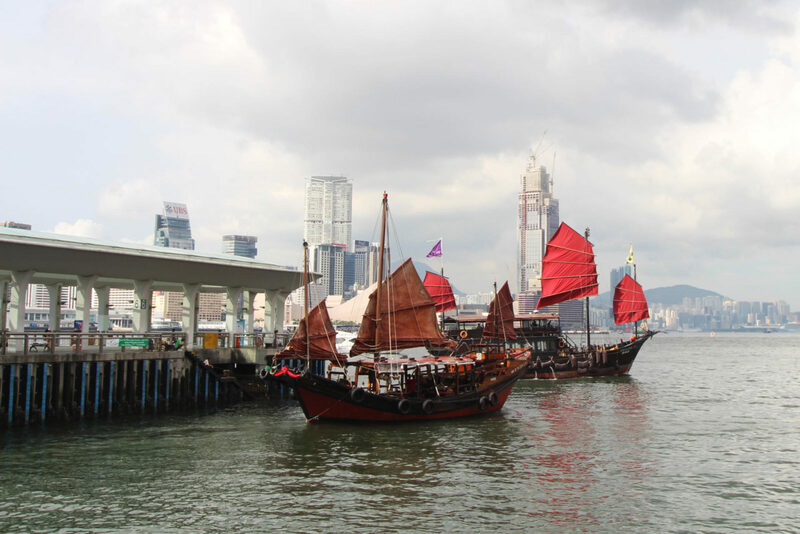 The boat makes several stops along the way you are welcome to get on and off at, including Central, Tsim Sha Tsui and Kowloon public pier. Once on board we decided to treat ourselves to some cocktails to cool down, and sat upstairs on the large bed like sofa seats where we could sprawl out and watch the world go by. The entire vibe of our boat ride felt so calming and relaxing, everyone was just enjoying the view and a little peace away from the loudness of the city around us. 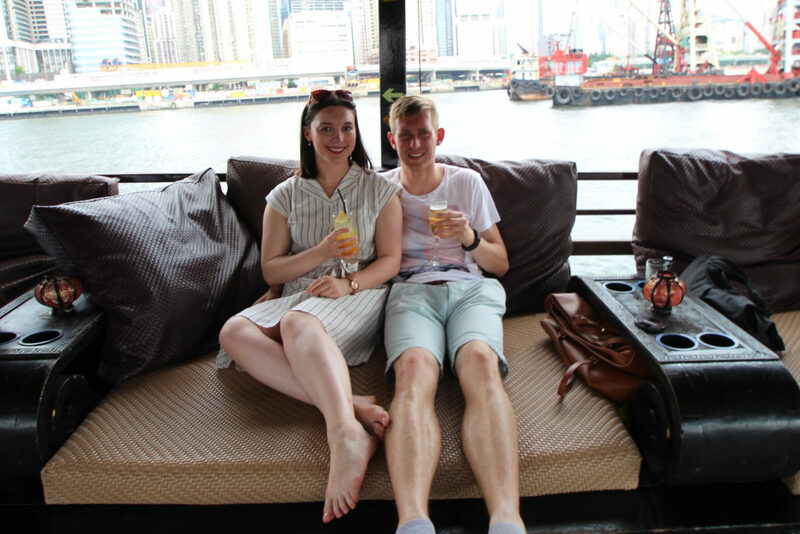 We met some American's on the boat too who were air hostesses who came to Hong Kong regularly as a stop off, and said that this was something unmissable they did every time they landed to unwind after a long haul flight. It was great to hear the story of fellow travellers and reflect on all the things we had experienced on our travels, and even after almost missing the boat and running like mad across the (wrong) pier to get on board in 35C degree heat, it was worth it and all our stress simply floated away. 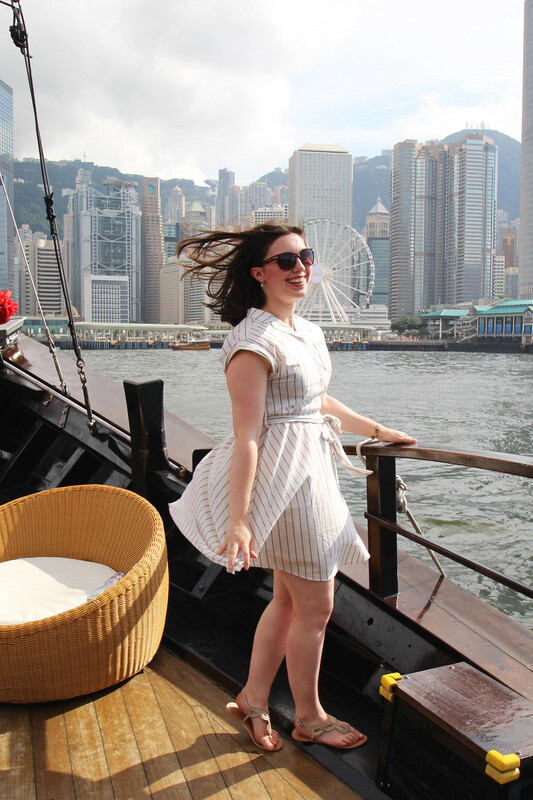 If you're ever in Hong Kong I can throughly recommend taking an hour to climb on board one of their famous junk boats and enjoy watching the world drift by around you. The trip itself cost us around 140HKD (roughly £14) and the cocktails were fairly reasonably priced too coming in between 80 - 120 HKD (£8 - £12) which would be a standard price I'd pay at home. There really is no better way to relax and escape the heat for a while!